The subtly-sweet, herbaceous scent of this soap is reminiscent of wild moss and meadow flowers found while hiking and island hopping the West Coast of Vancouver Island. Island Hopper is one of our more mild scents pairing benzoin and frankincense essential oils. 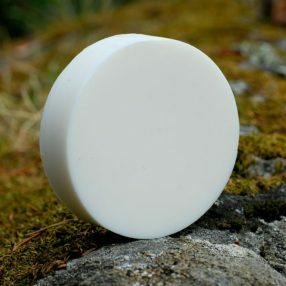 We make our soap with all natural ingredients and essential oils that respect both the planet and our skin. 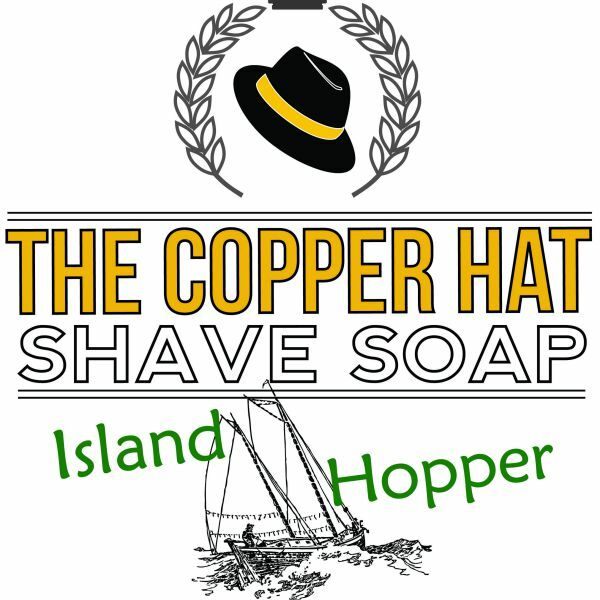 Our soap is moisturizing, clean rinsing, and beneficial for all skin types. 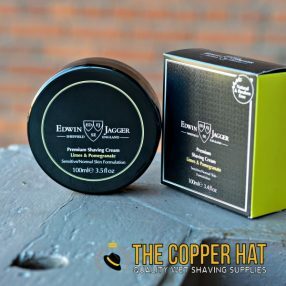 We’ve formulated this shave soap to lather exceptionally well, protect your skin and last longer than aerosol cans of shave gel. 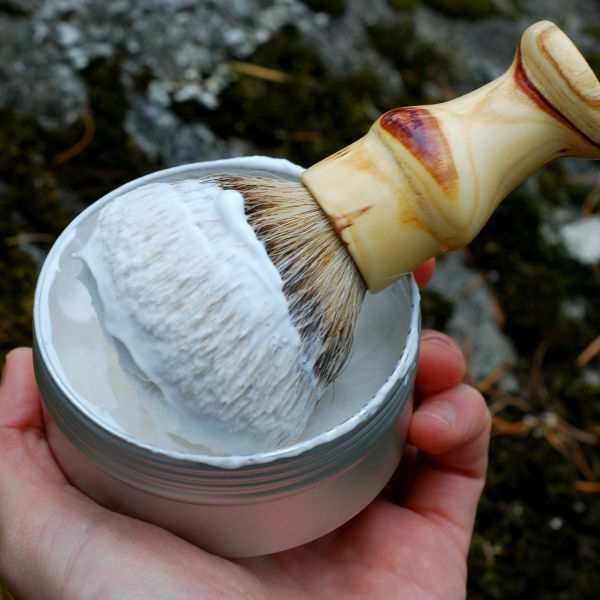 The soap comes in its own waterproof aluminum tin with a screw top lid, making it easy to whip up a lather right in the tin. I was using a proraso cream before and switched to this. 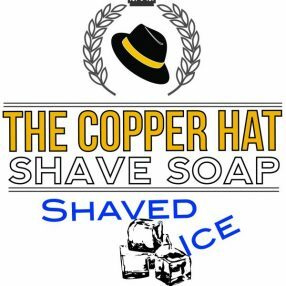 It’s every bit as good on my skin and lathers great. I enjoy the woodsy smell too. Thanks Brian – enjoy it! 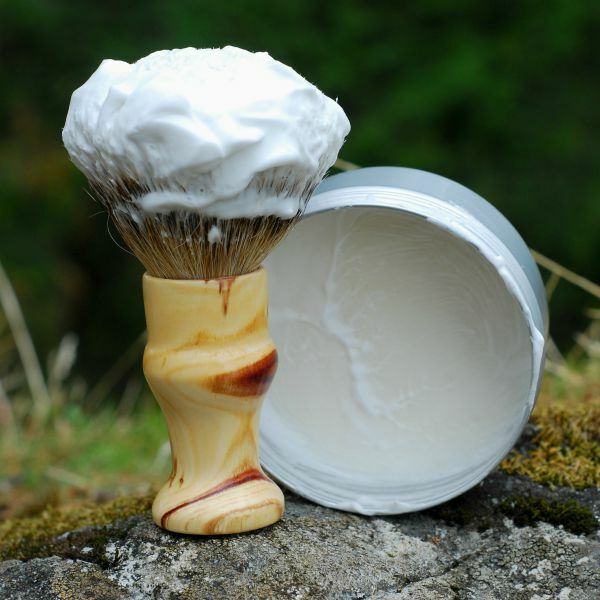 Great shaving soap. 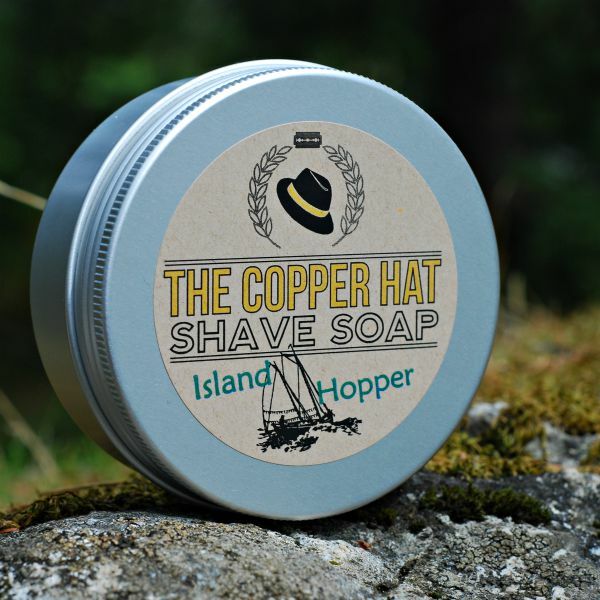 I had tried the Unscented before and like it, but the Island Hopper has just enough of a scent to it and seems to give a better shave. 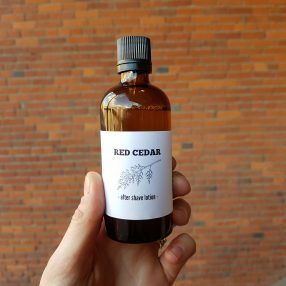 Scent is just rustic enough, but not overpowering. 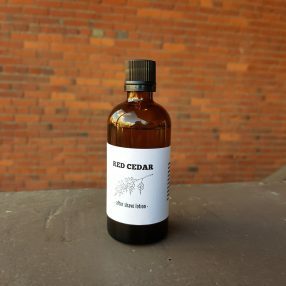 Works well with the Red Cedar After Shave. Glad you like the Island Hopper, Ryan! The inspiration for that one came from hiking and sailing in the Gulf Islands off of Vancouver Island. 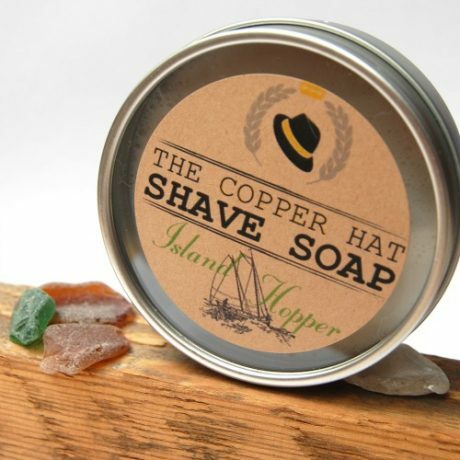 One of the essential oils we use to make Island Hopper is Benzoin which has anti-inflammatory properties and could be a reason you prefer this one to the unscented. 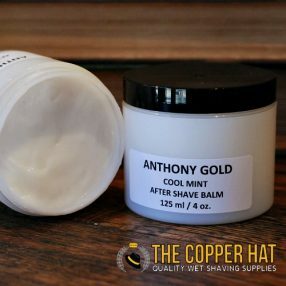 This soap was the game changer for me and my shaving ritual. 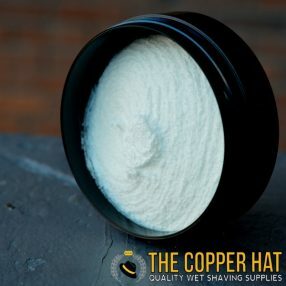 I was new to wet shaving and wasn’t able to shave daily without the burning bumps. This soap was bought for me by a friend visiting Victoria and it is the first product I have been able to use for shaving multiple days in a row and not have had a burning neck. I still get a few bumps, but there is no burning at all. The scent is pleasant, but is very mild and doesn’t hang around. 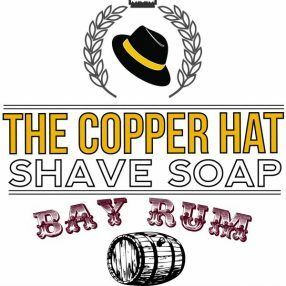 While visiting Victoria I happened-upon your shop and ended-up buying a couple of your shave cake soaps. 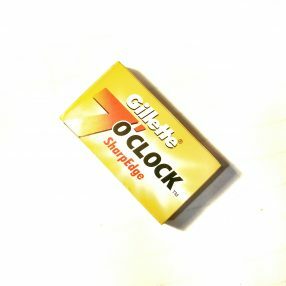 I can honestly say that I have not had a more close and comfortable shave in a very long time and I’ve been shaving for 30 years. The one I’m currently using is scented with lavender and it’s a nice relaxing way to begin my day. Tried this in a sample puck. Really nice and mild scent . Lathers well also.